Jewels Blitz is the ultimate match-3 puzzle game! It's your objective to combine at least three precious gems of the same type to make them vanish and score points. If you match even more jewels you get cool boosters that can clear complete lines, squares or remove all gems of the same color. Don't rush your moves and always keep an eye on your score as the turn limit is challenging and sometimes you need to plan a few moves ahead. Whether it is on your phone, your tablet or on a desktop computer, you can play Jewels Blitz everywhere and every time. 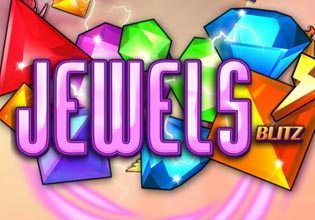 Play Jewels Blitz now for free and make your way through tons of fun and challenging levels!